Well, hello there. It’s nice to meet you. I’m Nate: wrangler of code, chopper of photos, and as mentioned in a newsletter, trying to maintain a decent psuedo-beard. Seriously lion-man? You hit like a kitten. Bring it on! If you weren’t around for a newsletter a while back (which was my only intro so far), then you don’t know me by name yet. But you do know me. Everytime you click on something you brush up against my code, and touch a little piece of my soul. It tickles, so thanks. Great! Now that we formally know each other, I can move on to more important things, like what’s happening around here? Why are buttons changing? What’s going on? Why are you trash talking a lion? Well, we’ve been hard at work behind the scenes. We always are, actually. The fine folks at Warp Academy know that everything has to evolve and grow, so with that in mind we’re constantly adding new features and twerking tweaking your experience. You may have noticed a “Vault” tab pop up recently. If you were brave enough to try it, you got rewarded with a bunch of free stuff! It’s pretty simple actually, but I’ve illustrated it below, just in case. Once you’re a Free Member, you can click on the Vault tab on the left, and you’ll be gifted with the a quick video followed by the “green-is-for-go” colored button with that word we all love “download”. It’s a pretty good action / reward scenario. There’s been a few more features popping up too. We have a LOT of tutorials in our catalog. All of our trainers have done an amazing job providing killer content (if you don’t have the producer membership, you’re missing out). You can favorite any of the tutorials by clicking that lil link in the top right of any tutorial, and it magically … went no where. Until today today that is (see the most exciting update below). Shhh my darling APC40, go back to sleep. There’s nothing hiding in between the tabs of the interface. If you’ve ever attempted a few rounds of fisticuffs with a lion, then you’d understand the adrenaline rush we’re having right now as we introduce our latest upgrade. By popular request, we’ve added the fabled “My Library” tab. It’s existence has been a tale our trainers have passed down to their children (aka audio hardware) in the inner workings of the academy for a while now, and we’re happy to put an end to the rumors and sightings, and finally reveal the truth. This is where all your courses, webinars, and favorite tutorials (remember that?) get collected for easy access. I know, jaw dropping, right? We think so. We’re heading into the first weekend of our Symposium with a lot of stellar news, and we hope you’re as stoked as we are. This is just the tip of the iceberg of updates we have planned for the year. And as always, we want to hear from you! A kudos, a suggestion, maybe leave a testimonial on one of the badass courses or webinars. Yep. 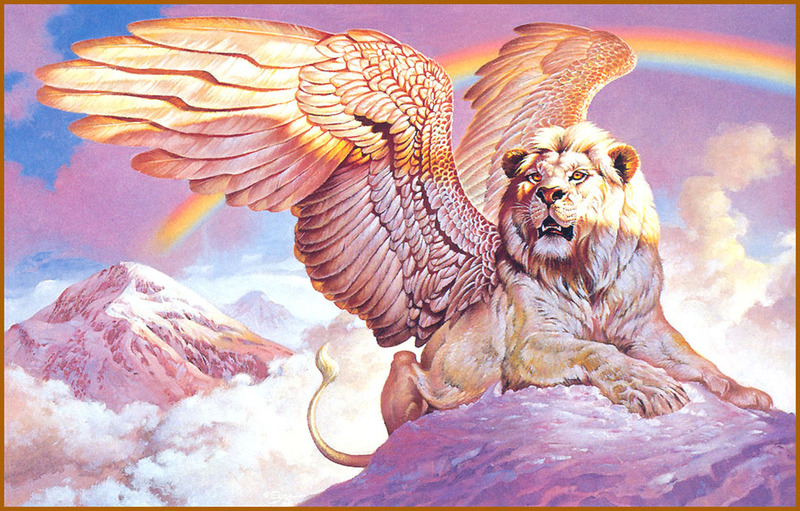 A lion with wings. Have a majestic weekend, and we’ll see you in the Symposium!